Additional liberalisation moves followed, with agreements made with Kuwait, the UAE, China, Ukraine, Great Britain, the USA, Turkey and other countries, in an initiative which indeed spurred the flow of incoming tourists to Georgia. In the January-April, 2018 period, according to the country’s national tourism agency, some 2.06 million travellers visited Georgia, up by 15.9 on the same months of 2017. The latest number included 937,000 visitors who remained in the country for more than 24 hours (up 27.2 per cent year-on-year). Whilst the majority of foreign travellers arrived from Azerbaijan, Armenia, Turkey, Russia and Iran, flows from a number of other countries showed distinct and impressive growth. The number of tourists from Kuwait, for example, increased by 111.4 per cent, from Estonia by 83.1 per cent, from China 58.2 per cent and from Saudi Arabia 57.9 per cent. Georgia is anticipating that, in 2020, the number of tourists will reach 7.6 million, twice the size of the nation’s own population. However, such success is not entirely down to the development of the air travel market. According to the agency, more than 70 per cent of all tourists still arrive in Georgia by road and rail, as they are mostly from neighbouring countries. So the country’s impressive tourism traffic growth numbers should instead be attributed to the sophisticated approach taken by Georgia’s Economics ministry and the Tourism agency, says Grigory Pomerantsev, managing partner of Aeropartner consultancy, which contributed to the launch of Georgian start-up carrier Myway Airlines, backed by China’s Hualing Group. He explains that, along with developing air connections, the plan also includes stimulating investment into the hospitality business, a move that has resulted in the mass construction of hotels in the Black Sea resort city of Batumi, for example. “Since Batumi is a highly seasonal destination, to sustain business during the winter the hotels are [now] targeting and attracting conferences and other events, and in some instances are also developing gambling [casinos]. So airlines have to join in – and provide services in the winter time too,” Pomerantsev advises. 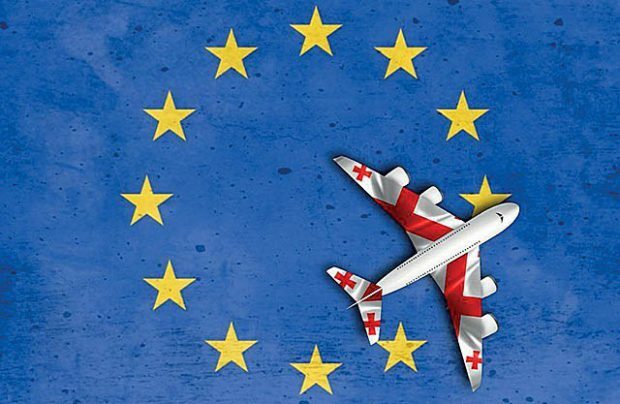 With respect to the development of Georgia’s air travel market, Pomerantsev says foreign airlines are basically unrestricted when it comes to launching of scheduled or charter services into the country. From neighbouring Iran alone, there are up to six carriers operating flights to Georgia. In 2016, Hungarian low-cost carrier Wizz Air opened a base at Kutaisi after four years of operating scheduled flights to the country. Turkish carriers, including Turkish Airlines, Pegasus Airlines and Atlasglobal also feel at home in Georgia. 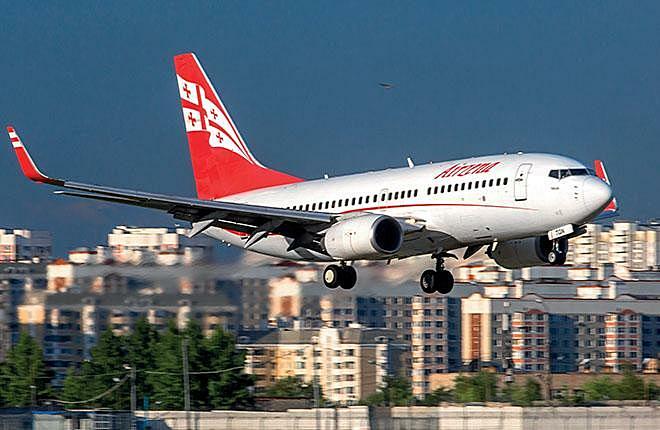 Turkish Airlines told Russian Aviation Insider that it launched flights between Ataturk Airport in Istanbul and Tbilisi in June 1997, and a decade later started flying to Batumi. Since 2013 it has been flying from Sabiha Gökçen Airport to Tbilisi (32 weekly flights in the summer schedule) and Batumi (10 times weekly). And although the Turkish carrier serves only two destinations in Georgia, for the last several years it has been outperforming the country’s privately-run flag carrier Georgian Airways, which had 10 destinations in its network in 2017 and planned to launch 11 more in 2018. According to Georgia’s Civil Aviation Agency data, in the first nine months of 2018, three airlines – Turkish Airlines, Georgian Airways and Wizz Air – equally held an 11 per cent share of the local market. The Turkish operator slightly outperformed the national flag carrier, but last year it became undisputed market leader with its share of 12 per cent compared to Georgian Airways’ nine. One man’s meat is another man’s poison is an adage that possibly applies to Georgian Airways, which has to navigate in a highly competitive environment. But why wouldn’t local airlines try to create their own hub in Tbilisi equivalent to that of Turkish Airlines’ Istanbul operation? Pomerantsev reasons that while local players generate enough business on point-to-point operations, they are likely to lack motivation for developing transit traffic, which attracts extra costs, brings the risk of lost baggage into the equation, and more complex commercial schemes, including through-fares and the capability to sell tickets from Georgia to Israel in Russia, for instance. Whilst before the liberalisation Georgian Airways enjoyed an almost unrestricted monopoly on the local market, now its only route to generate good revenue is that between Tbilisi and Moscow. Young local competitor Myway Airlines cannot yet fly to Moscow because of a disparity in bilateral agreements and flight frequencies. Another negative factor aggravating Georgian Airways’ business development is the airline’s on-going conflict with Tbilisi airport operator Turkey-owned TAV Urban Georgia (part of TAV Airports, which also manages Istanbul’s Ataturk Airport). The company is not intending to develop the airport as a hub and has been accused of being more loyal to Turkish Airlines than to its base carrier. Local media has quoted Givi Davitashvili, Georgian Airways’ general director, as describing the situation as “discriminative of the Georgian airline in its own market,” accusing Turkish and Russian carriers of price damping on routes to Georgia. The global trend in air travel is arranging transit flows through large base hub airports. But only a strong base carrier is capable of building such a hub system, Pomerantsev suggests, citing the examples of Qatar, the UAE and Singapore, all relatively small countries but now with very large hubs. Myway Airlines is Pomerantsev’s second project in Georgia’s commercial aviation industry. The first was low-cost carrier Fly Vista, an enterprise initiated by the owners of Dubai-registered Aerovista leasing company and led by two businessmen, Russian Apandi Lakhiyalov and Georgian Jumber Yakobadze. That airline went out of business in the autumn of 2014 having operated flights for just 67 days. The project failed due to a combination of the deteriorating economic environment in the region, the Russo-Ukrainian conflict and Georgia’s government decision to restore visa regimes with several countries.